Folding furniture, developed at the end of the 19th century, was immediately popular among lemonade sellers of the day, as it was quick and easy to pack away, which allowed them to avoid paying the licence for a permanent terrace! 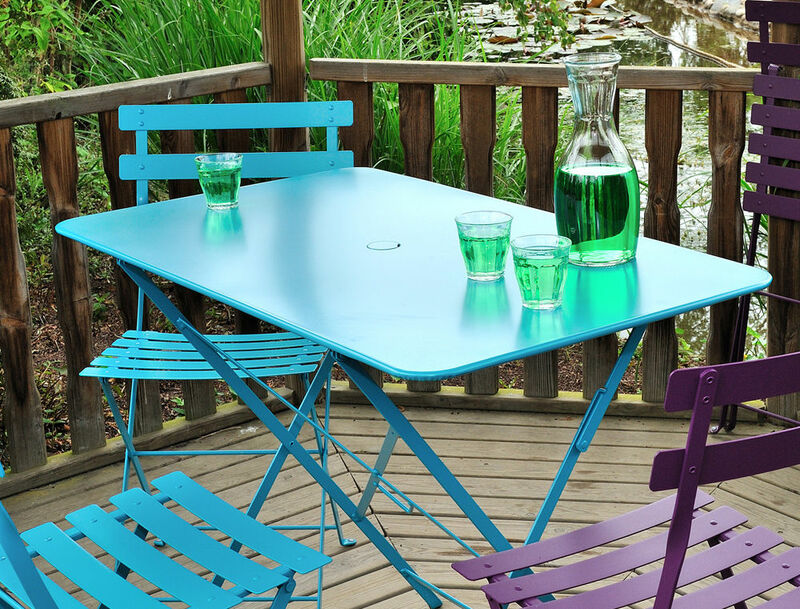 Fermob developed the Bistro range from the original model described in the Simplex patent registered in 1889 (and of which the brand is now the trustee) and produced an ingenious, simple collection that is bursting with joy and which has lost none of its charm and authenticity! Bistro continues to delight today, with its distinctive chairs and 10 table formats to mix and match. Furthermore, its typically French style has won fans in Times Square and Bryant Park in New York.